As a Passholder, you can enjoy Biltmore all year long, and take advantage of exclusive offers. Log in to the Passholder Login page for access to current pricing, discount ticket purchases, and more. 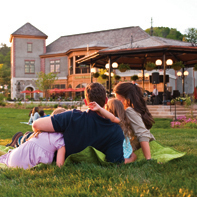 Purchase Biltmore Concert Series Tickets Before the General Public! *Valid Biltmore Annual Pass required. Tickets available while supplies last. All applicable taxes and fees apply. All sales are final; no refunds or exchanges. Tickets sell quickly through Biltmore and authorized artist fan clubs. Other restrictions may apply. *Starting rate is based on double occupancy. Rates are subject to availability, blackout dates, and applicable tax. Room only. Valid through July 31, 2019. Save $10* off the regular adult gate price by purchasing online, or calling or visiting the Reception & Ticketing Sales Center. *Subject to change. Please login to see current pricing. Bring Mom Free on Mother’s Day Weekend! Exclusively for Passholders: the opportunity to treat Mom to a Biltmore visit on Mother's Day weekend—either Saturday, May 11 or Sunday, May 12! 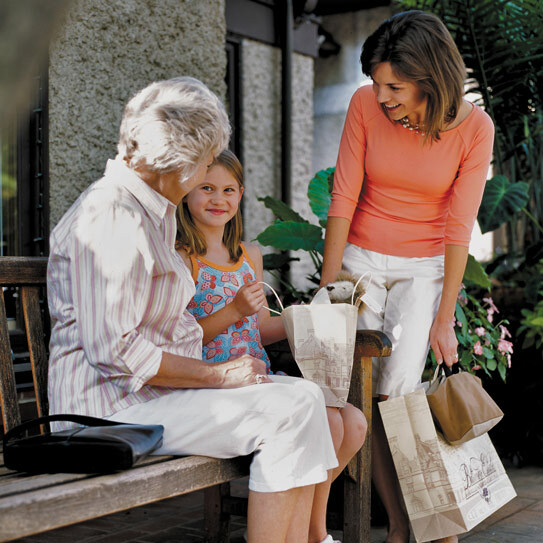 To receive complimentary admission for Mom, simply present your Biltmore Annual Pass at the Admissions Gate. *Valid Biltmore Annual Pass required; entitles Passholder to one complimentary daytime admission for one mother on Saturday, May 11 OR Sunday, May 12, 2019 only. Mother’s Day is a Biltmore House Reservation Day, and requires Biltmore House Reservation for Passholder. Cannot be combined with any other offer. Other restrictions may apply. Bring Dad Free on Father’s Day Weekend! Exclusively for Passholders: the opportunity to treat Dad to a Biltmore visit on Father's Day weekend—either Saturday, June 15 or Sunday, June 16! To receive complimentary admission for Dad, simply present your Biltmore Annual Pass at the Admissions Gate. *Valid Biltmore Annual Pass required; entitles Passholder to one complimentary daytime admission for one father on Saturday, June 15 OR Sunday, June 16, 2019 only. Father’s Day is a Biltmore House Reservation Day, and requires Biltmore House Reservation for Passholder. Cannot be combined with any other offer. Other restrictions may apply. From now until May 12, 2019, you can join the Biltmore Passholder family for just $119*! Don’t miss this limited-time offer to enjoy all that America’s Largest Home® has to offer in the coming year. Purchase your Pass today and make Biltmore your any day getaway! *Plus tax. Offer available now–May 12, 2019. 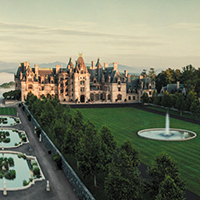 Savings of $100 based on regular $219 Biltmore Annual Pass. Valid for new passes only, and not valid with other offers. Other restrictions may apply. Free for Passholders, this custom Exhibition Audio Guided Tour fully immerses you in our new exhibition, A Vanderbilt House Party: The Gilded Age. Realistic 360° sound techniques take you behind the scenes as guests and staff prepare for a festive celebration hosted by George and Edith Vanderbilt. As you view displays of elegant Vanderbilt-era clothing, you’ll hear intriguing stories told by characters based on the people who lived and worked at Biltmore in the early 1900s. One Audio Guided Tour per Passholder. One additional Audio Guided Tour for one youth or child accompanying Passholder. Please present valid Passholder I.D. to redeem Audio Guide(s) at Biltmore House. Offer not valid for Biltmore One-Day Pass Guests during Passholder Appreciation, February 8–March 15, 2019. Ticket discounts for your guests. **Discount is not available from January 7-March 31, 2019. Dinner reservations at Bistro, Cedric’s Tavern, the Library Lounge and The Dining Room at The Inn on Biltmore Estate for you and your guests after 5:00 p.m. with advanced reservations.